Bill Watrous brings his trombone back to Temple for another hot performance with the Temple Jazz Orchestra. Watrous brought a selection of unrecorded charts from his personal library to this May 2008 concert. 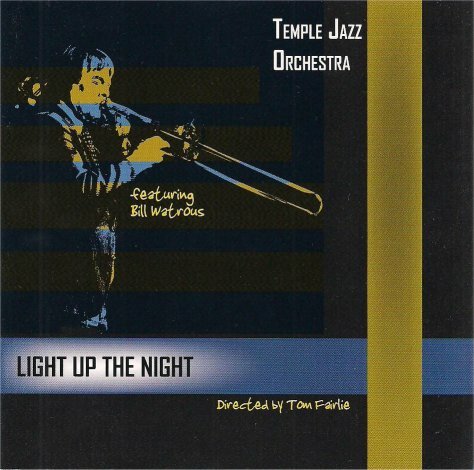 Light Up The Night--Temple Jazz Orchestra featuring Bil Watrous. Features Bill Watrous and the Temple Jazz Orchestra under the direction of Tom Fairlie, recorded at Temple College live in concert May 17, 2008 by Aaron Horne. Mixing and Mastering by Aaron Horne. You can order a copy of this CD online through Wildmusic.